Requires no additional power supply for the programmer or target application board. MICROCHIP Technology has released the PICkit 2 Starter Kit, allowing engineers and students to begin development and experimentation with PIC microcontrollers for a low initial investment. 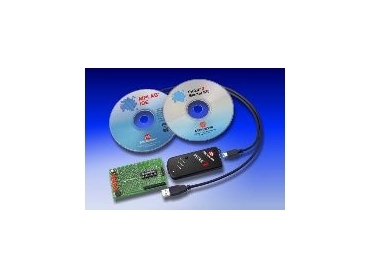 The kit connects to any personal computer via full-speed USB 2.0, which allows faster programming and firmware upgradeability and requires no additional power supply for the programmer or target application board. A set of easy-to-understand tutorials allows users to learn at their own pace. The PICkit 2 has a small form factor that takes up minimal workbench space and can easily plug into development boards via In Circuit Serial Programming (ICSP) technology.